Could one of the mouthpiece experts explain the function or effect the large flat on the end of the shank serves? It seems to me that a smooth transition to the leadpipe would cause less turbulence and maybe less distortion in the buzz? Curious, since with the new stronger Stainless Steel shanks, it's possible to make that flat part taper to a much smaller (thinner wall) without concern for the delicacy of a brass shank. I know the Monette shanks have a very large, thick, shank ends, and I don't know what they are trying to achieve. I'm thinking of tapering (short - maybe 18 degrees included internal angle or so...)the end of one of my Blokepieces to about 1/3 the thickness, but I don't know what to expect. - Inquiring minds want to know. . . . I think you are correct, but I don't know if the difference would be noticeable. Only double-blind experiments can answer your question. I think, like you said, it's primarily a function of strength. You need enough metal there in a brass piece to not get deformed just by breathing on it. Also, most mouthpieces are made from the same blank in a series, so ones with wider backbores will have more drilled out. Honestly, with all of the turns, choke points, bumps inside a tuba, I would not think you'll see any type of major or even noticeable effects. One consideration regarding the tip of the shank has simply due to making something strong enough not to be damaged. Renold Schilke was first-class on mouthpieces and felt that this transition should be as small as possible. He made various mouthpieces, also for tuba, with ends that were thinned out to almost nothing. These were easily damaged and are uncommon, no matter who makes or made them. Mouthpiece design has much in common with instrument design and both have much in common with the game of Chess. One move affects all the others. Details are of great importance: with shanks this is shank length, shank size, shank fitting and also the thickness as per this topic. Most manufactures, me included, keep the tip of the shank as thin as possible but only to the point that damage does not occur during normal use. The internal edge is very important. We do not use blunt edges but turn out the inside of the tip of the shank applying a differert radius depending on the model. The "double blindfold" suggestion would be a good means to determine whether this or than mp works. Robert Tucci wrote: Mouthpiece design has much in common with instrument design and both have much in common with the game of Chess. One move affects all the others. Details are of great importance. Thank You for sponsoring this board ! "Music" and "beautiful women" are somewhat related, yes? When I was young - and someone might be trying to fix me up on a date - whenever someone told me a young lady was "sturdy", that always got me really excited about the possibility of a date. ...but - then again - we're tuba players, and we dent up our $15K instruments...whereas oboe players seem to be able to take perfect care of their c. $30 reeds. Thank you all for the great information - I think I'll try it (on ONE) and see if there is any discernible difference. My concern was that maybe there is a design parameter that the sharp transition meets, and I don't want to mess that up. Thank you Mr. Tucci - you were exactly on-point. It seems that the squared-off shank end design may be a artifact from brass as a material rather than a transition to the stronger stainless steel. Bloke - I'm not sure I should go there, but I so seem to remember dating some 6/4's who seems more than "sturdy". Thanks again for the input. - Back to lurking. . . . . I am not an expert in anything, but from my general reading I am aware that the idea of feathering off the end of the shank has cropped up in discussions of "The Gap". The effect of the gap, if it exists, depends upon the size of the step-change (in diameter) at the exit from the mouthpiece shank, and on the step-change at the entrance to the mouthpipe, and on the separation between these steps. 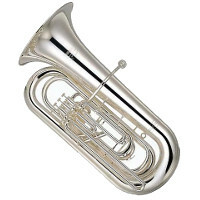 It has been mentioned on TN that on most tubas there is no step-change at the mouthpipe entrance, which greatly reduces the gap effect. Eliminating the step-change at the shank exit (by feathering off the shank wall) further reduces the gap effect, effectively eliminating it. This is said to reduce resistance and slotting, and facilitate note-bending and slurring. Some like it, some don't. I seem to remember that this leaves slotting mostly dependent on the length of the cylindrical part of the mouthpiece throat. Eliminate that too and you will need to buzz exactly on pitch, which is why it is not particularly relevant to my own abilities. Aren't there some patented ideas kicking around for controlling (adding ?) resistance by cutting grooves, or even a thread, around the inside of the throat ? or rifling the bore ? I guess there is an advantage to making the mouthpiece independent of the gap-size, if you can build in the right level of slotting. Shank end thickness is really only a side effect of the internal size at that point. The mouthpieces that have thick ends typically have huge throats, requiring a "smaller" backbore to balance the openness of the throat. There are lots of ways to design a mouthpiece, and that's one of them. So IOW.....Larger throat can benefit from smaller receiver to avoid step-up and smoother transition? Lectron wrote: So IOW.....Larger throat can benefit from smaller receiver to avoid step-up and smoother transition? "Larger throat can benefit from..."
...is a very odd way to look at it. I see what you're getting at but I think the answer is no. That's not the point at all. Interesting topic, thanks Doug and Robert for adding your insight as always. But why would you want a "step up"? You would never want that anywhere else on the horn? Wouldn't it also give an increase of impedance as you get a sudden decrease of speed, not followed by a venturi? 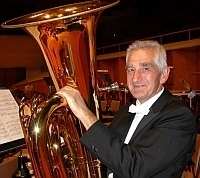 So.....at the very begining of the tuba....these things don't matter, while everywhere else on the instrument it does? TubaSailor wrote: ...since with the new stronger Stainless Steel shanks, it's possible to make that flat part taper to a much smaller (thinner wall) without concern for the delicacy of a brass shank. Stainless steel shanks bend too, and they're a lot harder to straighten. I'm not one of the mouthpiece makers who makes mouthpieces that create a step. And I don't think Bob Tucci is either. Doug Elliott wrote: I'm not one of the mouthpiece makers who makes mouthpieces that create a step. And I don't think Bob Tucci is either. Has anyone ever struggled to play in tune or to put enough air through the horn, pulled out the mouthpiece, looked at the end of the shank and said, "Oh, now I see the problem"? Have I tried different shanks, wall thickness, gaps, veturis and experienced less kick-back and more accessible low register? Has the actual "interface" ment just as much as the holes itselves? Could I tell from just looking at the MPC? Did theories/physics back up findings?